I went to school within sight and smell of the Thames at Greenwich and I’ve always thought that it was the tidal Thames that was most worth exploring. I wanted to walk from my home area down to the sea. This is the working Thames, the warlike Thames, the Thames that gave London much of its history. Always grand, sometimes frightening, often lonely, this is one of the wildest areas of south-east England. The Thames Path National Trail ends rather prissily at the Thames barrier. But on this site you can find out a walk along the banks of the Thames in Kent, one of the most unknown and amazing walks in South-East England. You can also find a description of a link along the Thames from the Thames Barrier to the start of the Kentish Thames walk- a sort of prequel. If you want to go further, you can walk the first four sections and then join the Saxon Shore Way at High Halstow to continue round the coast of Kent. The Kentish Thames Walk is not waymarked but it is all on rights of way. It can be done as a long distance walk, on its own as a walk of about 36 miles, or as a grande finale to a walk from the source of the Thames, or in manageable day trip segments of between 7 and 10 miles. This is not really a tourist area, so many hotels are designed for overnight stays for those using major roads and on their way to somewhere else. There are clusters of hotels in Dartford, Gravesend and Chatham. You can find them on www.booking.com Have a look at the location and the reviews. 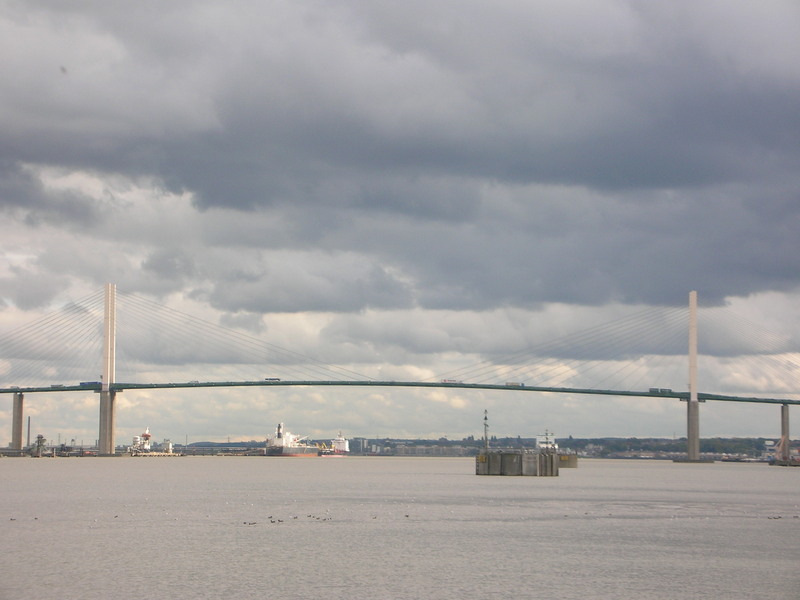 Many hotels are out of town near the motorways and therefore not very convenient, although there are a cluster near the Dartford river crossing that could be useful. Some of the town centre accommodation gets poor reviews, so be selective. Orchard Cottage in Cliffe Woods, a couple of bus stops away from Cliffe, gets consistently good reviews. You could hire a caravan at the Haven Holidays site in All Hallows. Outside of the school holidays prices can be very affordable and the minimum stay is 3 days. You would have some distance to travel during the earlier walks.